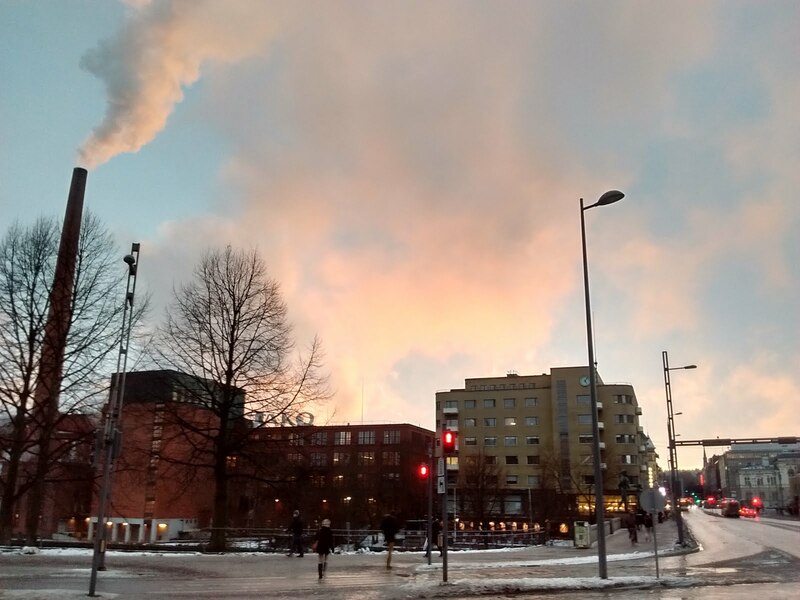 Tampere is squeezed between two amazing lakes! After spending the week relaxing, skiing and trying to figure out the Tampereen bus system, we hopped on a shuttle Saturday morning to head to JamiJarvi, the site of the Jami42 ski marathon. 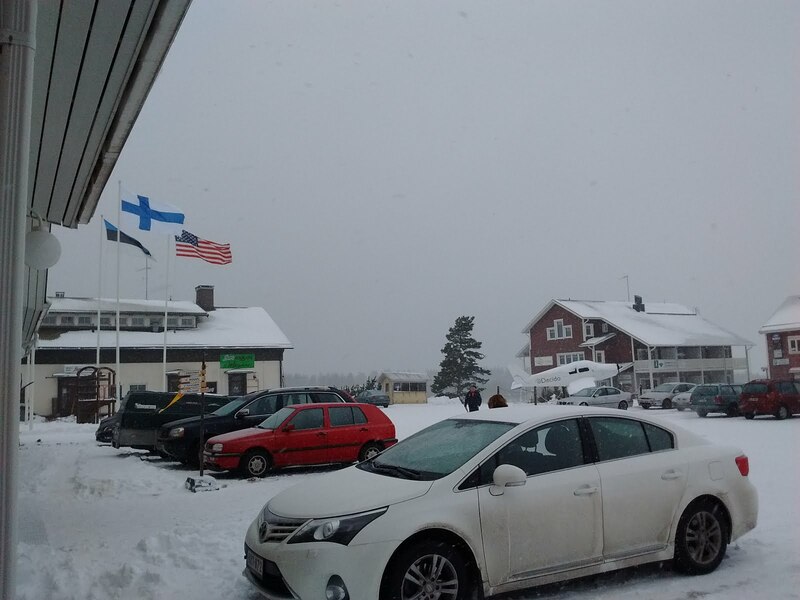 Upon arrival we were thrilled to see the American flag flying high above the stadium next to the Finnish and Estonian flags. The Americans had arrived! The most popular question to ask us at the race: why are you here? Tyler bought a cool Jami42 hat. Well, he thinks it's cool at least. 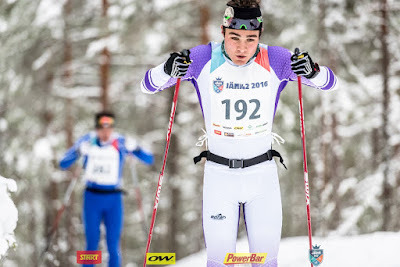 There is a strong trend in classic marathon skiing (and classic skiing in general) for athletes to double-pole the entire course if possible. This allows skiers to race classic races on skate skis without kick wax and this makes the skis much faster. 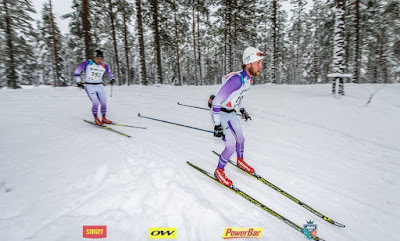 It is definitely weird to think about classic racing on skate skis, but if the conditions are right, double-poling a race can be much faster. 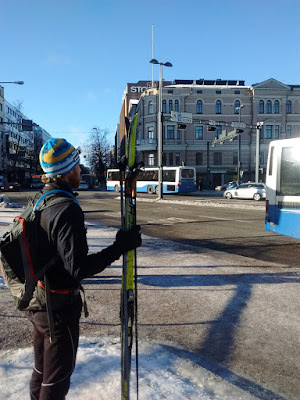 We looked at the course profile, and after our kick wax debacle the week before we thought seriously about using skate skis and double-poling. 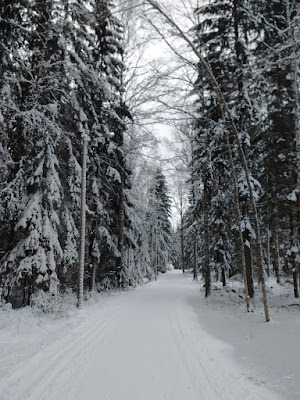 After doing a little reconnaissance and seeing one other person with skate skis we decided it was a great idea and put our skate skis down on the starting line. 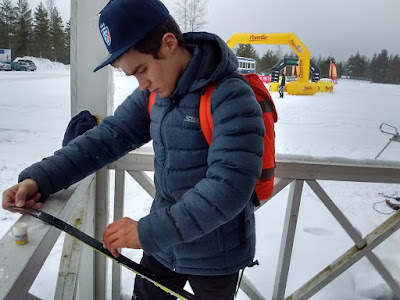 We were a little nervous about our ski choice so to take our minds off of it we dutifully performed our tried and true race warm-up routine of walking around for a while with our poles and getting cold. With five minutes to go we approached the start line to put on our skis. As we clipped in our bindings a Norwegian man started doing one leg pushups, tricep presses, and other intimidating exercises on ground next to us. We aren't sure whether this was an attempt to warm-up or to intimidate us. Either way, when he asked to get in front of Jackson in the start line Jackson quickly obliged while Tyler looked forward hoping not to be noticed. 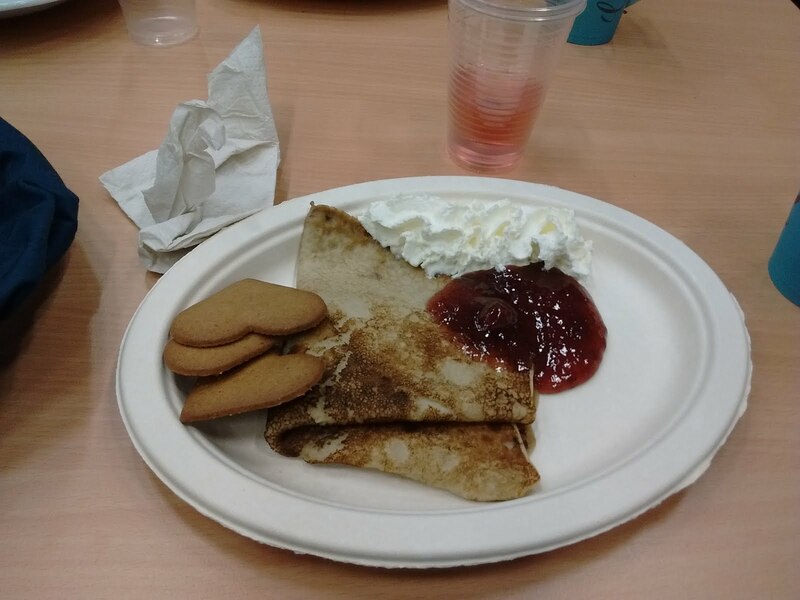 Our post race meals continue to impress and we happily ate homemade soups, bread, coffee and delicious crepes after the race. As it turns out our intimidating Norwegian competitor, Morthen, was quite friendly and we enjoyed a two hour conversation with him, his wife, and two young kids while we ate lunch. 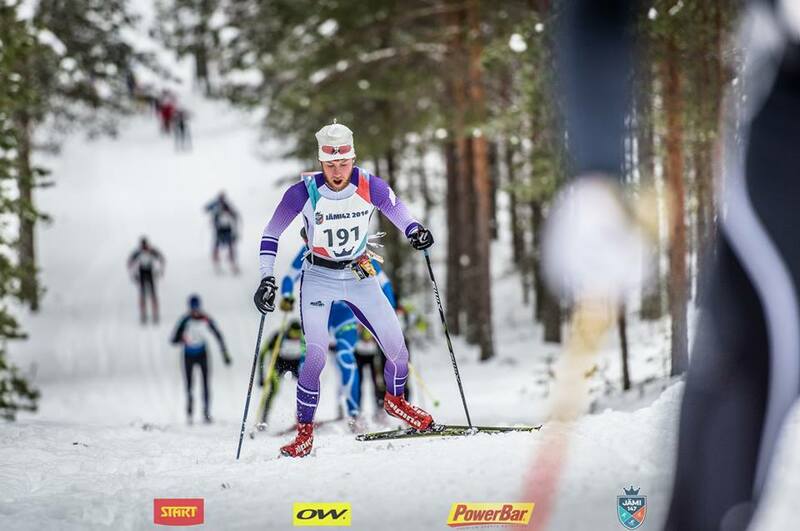 He has raced many world loppets and other ski races all over Europe. 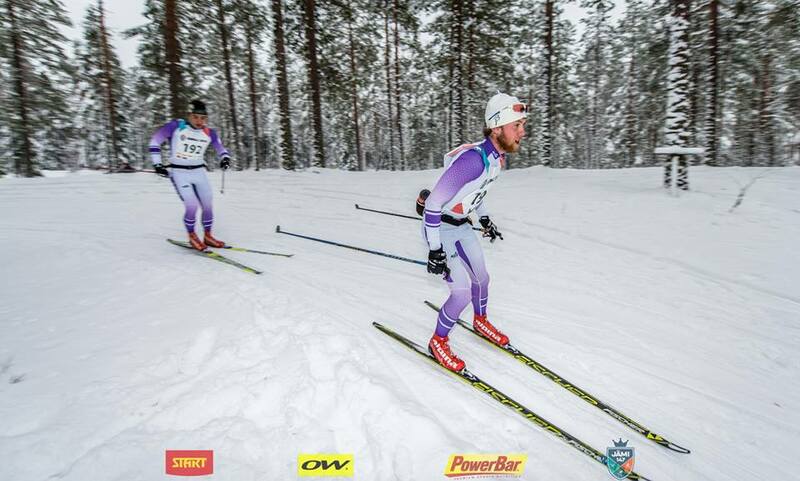 When he and his wife had their second child a few years ago he brought his skis to the hospital so that he could be sure to make it to the Finlandia Hiihto race later in the day. If you can't tell, we idolize him - and are very impressed (and sort of surprised) with how supportive his wife is! At the end of the day we were waiting outside of the arena for our shuttle when Morthen and his family came outside to head back home. He was sorry that there was not room for him to give us a ride and he offered us each a headband and hat from his sponsor company. We then enjoyed a Finnish post race tradition of his outside their car as they packed up. A glass of whiskey consumed from a sippy cup has never tasted better! On Sunday, Jackson went to watch World Cup skiing at the Lahti Ski Festival and Tyler enjoyed some restful down time. I arrived early enough to watch all of the pre-race preparation, which is a little more intense than it is in college skiing. Each skier warms up with one, or in the case of some of the Norwegian stars, several wax techs as they try to choose the fastest pair of skis for the day. The Lahti world cup was a pursuit race, meaning that halfway through the race, the skiers switched from classic to skate skis, so ski choice was even more rigorous than usual. 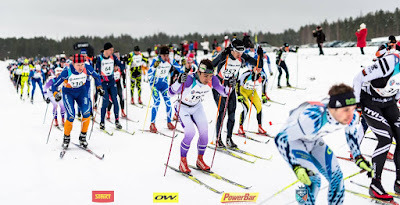 Although a lot of fans came, there was more room to spectate than there was at the Holmenkollen Ski Festival and I had a chance to practice some action photography. I indulged myself, taking over 2000 pictures over the course of the day. The success of the American women over the last few years, and especially this year, has made being an American fan at these events really exciting. Despite the Finnish commentary, American skier Jessie Diggins’s name could be heard over the loud speaker many times, and she received the loudest cheers of any non-Finnish athletes. 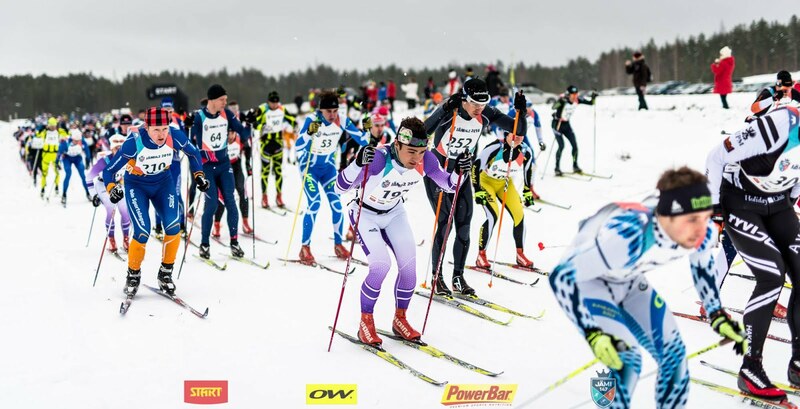 The races themselves were exciting but, unfortunately for the host country, ended in Norwegian podium sweeps for both the men and women’s races. 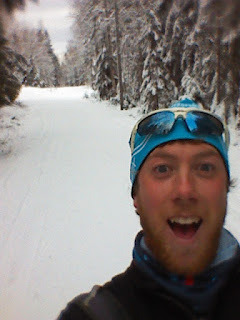 American Jessie Diggins, Number 7. This is really a photo of what Tyler looked like 7 years ago and what he will look like 20 years from now. In Finland, there are about 5.5 million people and about 2 million saunas. We’ve been lucky to enjoy several of them, including one in the house of our current hosts, Anssi and Emmi, who live in Helsinki. The steam, or löyly (which is Finnish word to describe sauna steam and is distinct from the word höyry, which describes steam in all other contexts) can create an intense experience, but saunas are integral to experiencing Finnish culture and probably good preparation for races, at least mentally. 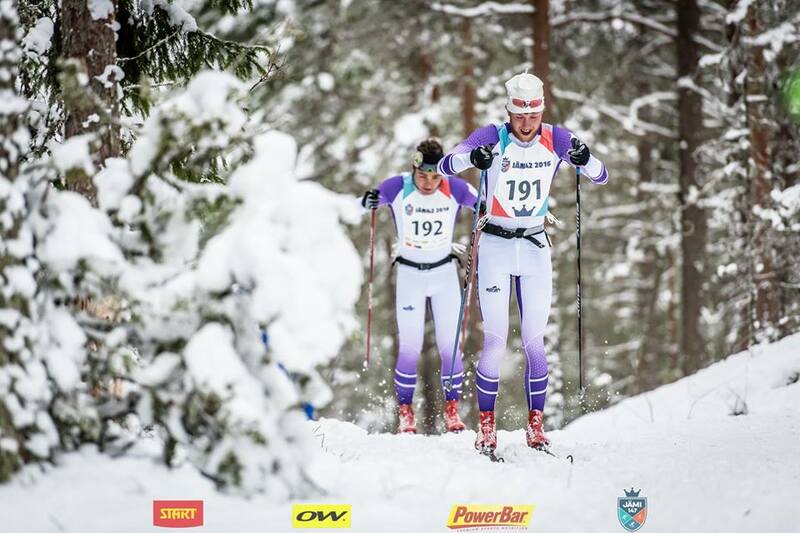 We travel to Lahti, Finland in a couple of days, which is where our next marathon, the Finlandia-Hiihto, is held. You guys continue to impress and entertain! Thank you for the laughs- much needed right now. Love you! This post definitely had some memorable quotes! The starting line scenario is too entertaining -- I can picture it so clearly. Miss you guys!! Finally catching up on reading, and it's a good thing no-one is in my office right now since I guffawed when you described the Start Line with Morthen.